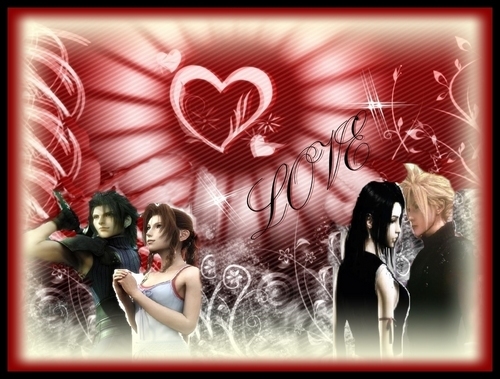 ZACK AND AERITH TIFA AND ulap. . HD Wallpaper and background images in the Final pantasiya VII club tagged: final fantasy vii advent children cloud strife aeris zack aerith. this picture is so sweet. 2 of my favorite couples! Love them both!